Sandy Winkler is an assistant professor at NOVA Southeastern University College of Healthcare Sciences in Florida, teaching occupational therapy, and she has brought a unique 3-year study to Second Life: how a virtual world might better serve as a learning environment for amputees when compared to a traditional website. The study, entitled Dissemination of Amputation and Prosthetic Evidenced-based Medicine, is funded by the United States Agency for Healthcare Research and Quality, and Sandy is half-way through the allotted 3-year study period. Enough time to have started gathering and assessing data based on patient studies, and to provide general feedback – although as Sandy herself states towards the end of the piece, it is still too early to draw definitive conclusions. A core focus of the study is to increase the acceptance of living with an amputation and the use of prosthetics. Both aspects of this work involve overcoming psychological and physiological issues an amputee faces. Physiological in terms of adjusting to life without a limb or limbs, and also in physically learning to use a prosthetic; psychological in terms of mentally adjusting to the loss of a limb pr limbs, dealing with a range of potential emotional issues which inevitably arise from the loss of a limb or limbs, together with the joint psychological / physiological aspect of learning to adopt their lifestyle, activities and mobility to suit the use of a prosthetic or wheelchair. The work has involved the use of both traditional 2D-based websites and Second Life to assess how amputees respond to information relating to loss of limbs and the use of prosthetics. 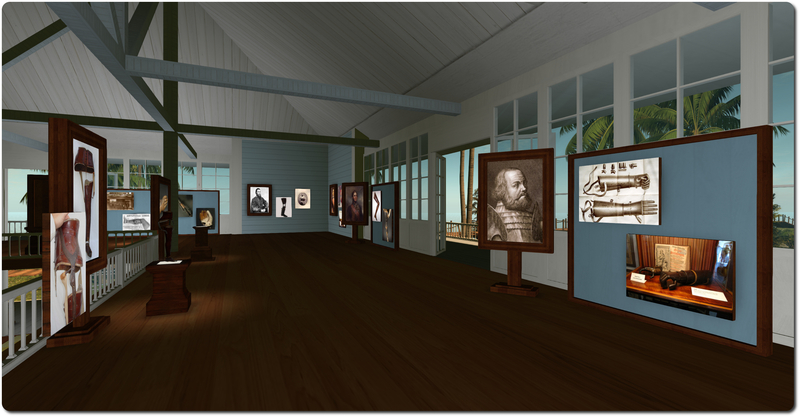 The in-world side of the study offers the same information, history and so on, to patients via the Virtual Health Adventures island (VHA), which is supported both by a website of the same name and developmentally by Virtual Ability Inc. Here amputees can not only read about exercises, learn about mobility using a prosthetic or wheelchair (such as getting the latter in and out of their car), they can experience them via their avatar, the actions and movements of the latter being sufficiently life-like that they can be replicated in the physical world, encouraging patients to repeat the exercises, etc. Such is the sense of identification subjects feel with their avatar, that Sandy notes those who have balance problems with a prosthetic leg in the physical world make a marked improvement in their sense of balance as a result of seeing their avatar get around within Second Life. Alongside this, VHA offer a range of in-world activities and opportunities for social engagement, with windsurfing, jet skiing, and more on offer by way of activities, together with opportunities to sit and chat with others and / or participate in the aforementioned exercises. These have been shown to offer what might be called a two-step benefit. On the first, there is the obvious social interactive element and the benefits arising therefrom, together with the sheer enjoyment of kicking back and doing things which are fun. In addition, the activities have been shown to assist in dealing with phantom limb syndrome. Occupational therapy obviously plays a huge role in adjusting to living with an amputation and learning to operate with a prosthetic limb. The VHA has a special role to play here as well, which is directly focused on therapists and students, allowing them to spend time in-world as an amputee, experiencing first-hand what it is like to have more limited mobility or limited vision, allowing them to better understand situations and circumstances face by amputees and to directly integrate the prosthetic into their own body image, helping them to develop a more empathic bonding with those whom they treat. There can be little doubting the huge range of benefits to be had within the healthcare field when it comes to the use of virtual worlds. I’ve covered this myself in relation to both the use of virtual environments like SL for helping US service personnel deal with PTSD (something I’ll be returning to in the future), and in the way that virtual interactions can help us be more forthcoming when disclosing health-rated information about ourselves. With this episode of The Drax Files: World Makers, Draxtor takes this a step further, and in doing so provides a very engaging piece on the sheer (and growing) potential and relevance of virtual environments in tele-healthcare, and one which is well-suited to broader media dispersal. What makes it particularly powerful – as is the case with those stories he has told in a similar vein, is that it is one which entirely tells itself; there is no need for obvious direction through direct questioning, etc. The narrative of the piece flows in its own right, building a clear and easily understood story which is both enlightening and uplifting. However, that said, there is one element within the video – not the story – which I find disappointing. We’re all aware that the Oculus Rift is coming, and with it SL is going to become more immersive and immediate to those who use it. 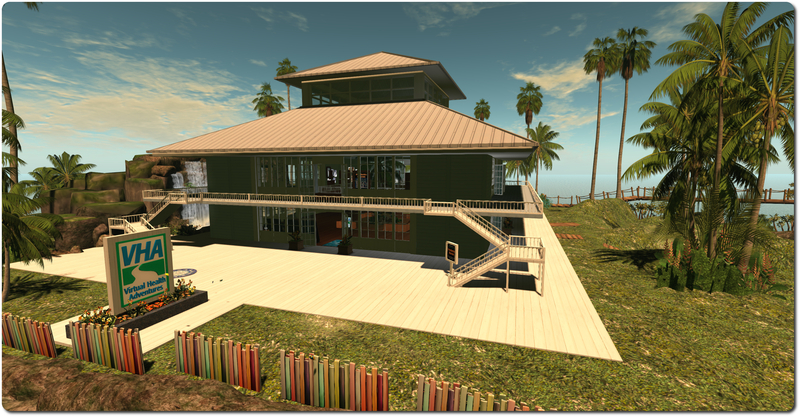 It also has huge potential to re-shape groundbreaking work carried out in virtual environments such as Second Life. No-one is doubting either of these points. It’s also clear that Draxtor is enthusiastic about the potential of HMDs in virtual worlds. But his very enthusiasm at times seems to warp his perspective on things; something I’ve actually said to him directly. In this case, almost a quarter of the footage used in the video features the Oculus Rift (people donning the headset, people wearing the headset, the view seen through the headset). While I don’t for a moment doubt the considerable benefits HMDs will have in therapy and studies of this nature, there is no indication as to how big a role something like the Oculus plays in this study, nor does the majority of the footage used actually add anything to the narrative. As such, the amount of time devoted to the headset comes across as excessive, and most of it seems to speak more to Drax’s enthusiasm for the Oculus than to the narrative itself. Which is a shame, as this really is a powerful story that isn’t deserving of such distractions of thinking. Very, very well said. On EVERYTHING. Bravo! As noted in the article, no-one is questioning the potential for HMDs. My personal issue is the extent to which you present HMD-related images in this piece – almost a quarter of the air time, and without anything in the way of genuine context with the subject matter. The sad irony here is that within the narrative, there is powerful context and relevance for using HMDs. It’s in the descussion about therapists and students being able to experience asepcts of being an amputee, of being able to integrate their thoughts and visualisation of wearing and using a prosthetic into their body image. This part of the narrative is ideally suited to underlining the added benefit of a real sense of presence a HMD gives to this type of experience. Sadly, and at least for me, the greater potential imact of these images is almost completely eroded simnply being I feel I’m being brow-beaten with the top=heavy Oculus footage. I’d also venture to suggest that by moving the Oculus front and centre in such a way risks being counter-productive. Rather than demonstrating the positive marriage between SL and HMDs, it could well result in VR enthusisasts seeing it as little more than a desperate attempt to make SL appear relevant to them. If you truly want to demonstrate the relevance to SL to the rising VR populace, then by all means do so – but please, give it some real context in terms of content; don’t simply drop it into pieces to the point where it seems to be as much the visual focus as anything else. As the old truism states: more isn’t necessarily better. I am sorry but I see the context very clearly: communication and being together in SL. We used it in the piece because it is being used in this context – so I need to show it 🙂 Why would I not when it works this way? That there is a HUGE challenge in putting something so experiential into a traditional linear narrative like a documentary is another matter – something I tackle every month with the series regardless of goggles – simply because SL itself presents that same challenge. But: I have succeeded in cutting down on eye-rolling all around my circle of friends so that is a good thing! In re top heavy: thought about this a lot and I don’t see it either: the bulk of folks use SL the “old-fashioned” way in this piece, only Josh and the student. That is how it is being used and they interface nicely with Jim and Sandra and the others. I cannot ignore the potential of the Oculus for this very topic as much as I chose to put myself out there attempting to show the potential of SL. Same thing really. Inara, you know how much I value your input and opinion and I would like to thank you for writing this so honestly! I would not want to have it any other way!!!! I’m sorry, but your own preconceptions skew your view towards seeing context that really isn’t there. And this demonstrates why. It’s not about who is using the HMD. It’s the fact that around a quarter of the video is devoted to the use of HMDs where, frankly, almost none is required. except for the once mentioned scene, all of the HMD footage is superfluous to the context of story. The vast majority of the footage could have been filmed wouldout any reference to HMDs, and the central thrust of the narrative would not have been in any way diminished or lost. Instead, the one real element of the story where HMDs can be seen to have a direct, impactful relevance is, as I’ve said, almost entirely eroded. Worse, it does lead to eye-rolling; the reaction is, “here we go again, Drax is on his Oculus kick again…” And if you’re generating that kind of reaction from some of us who “get” SL and “get” the potential of VR when used in SL, think about my comment about trying to appear relevant to VR enthusiasts and the rection you might inadvertently cause from them. Again, and at the risk of repeating myself, by all means demonstrate the relevance to SL to the rising VR populace – but please, give it some real context in terms of content; don’t simply drop it into pieces to the point where it risks becoming self-defeating. I’m on the same boat with Inara. You need to try to view your videos through the eyes of an outsider; someone who has never used SL, someone who is sceptical (at best) of SL, someone who has never used HMDs. Mind you, me and my fiancé watched the video together, and – for the record – he’s an engineer who’s had prior experience with HMDs (more specifically, the Virtuality, which he has used with various CAD/CAM/CAE applications), and he finds them extremely useful for certain uses, but not essential for VR to exist or be useful and effective. But here, even he felt that dedicating so much time to the Oculus detracts from the story you’re trying to tell and weakens it significantly. And when he saw the pattern in your recent videos (i.e. patching-in an irrelevant Oculus-dedicated piece that takes up a significant part of the episode), he was not impressed at all, and I’m afraid I’ll have to inform you he used the term “broken record” to describe the incessant Oculus stuff. You need to curtail it. Yes, you’re enthusiastic about the Oculus, but it’s not the VR Messiah, and having to hear about it all the time gets really old, really fast.